ME: I was born and raised in Southport, CT, and spent a lot of my childhood and on the water, racing and cruising along the coast of New England. The sea became the spawning ground for my passion for art and I yearned to express the subtle beauty of light playing on the water and the dramatic shifts in mood and atmosphere from day-to-day. After graduating from Syracuse University with a BFA in 1976, I met wife Martha passing through Annapolis, delivering a sailboat to the West Indies. We settled in Annapolis and I soon found the Chesapeake Bay watermen to be a great source of inspiration. MY ART: I continued my studies with Cedric and Joanette Egeli in Annapolis and with the late master Impressionist Henry Hensche at the Cape School of Art in Provincetown, MA. I was intrigued with the Impressionist theories of color and light and this became the focus of my work over several years. 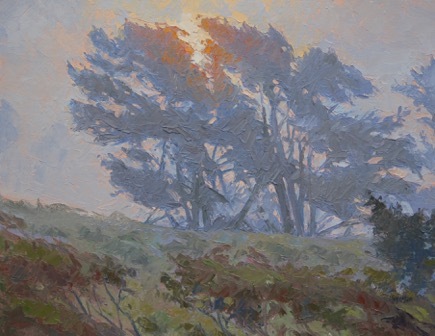 I pioneered many effective techniques for capturing the subtle effects of light in watercolor, and co-authored Painting the Impressionist Watercolor with Linda Gottlieb, one of my longtime watercolor students. 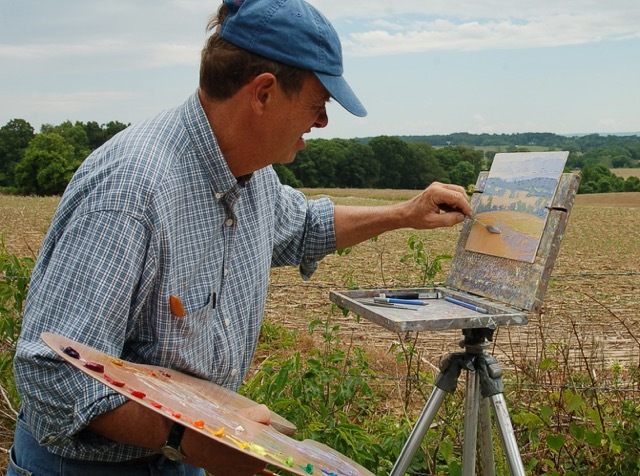 I played a key role in establishing the Mid Atlantic Plein Air Painters Association in 2002. I now paint in both oil and watercolor, and you can find information and images of my r work on my website. www.leeboynton.com. MFA & ME: MFA is a very open gallery, giving all artists and all mediums an opportunity to show. I love the camaraderie, MFA fosters. It’s fun to be part of such a lively and encouraging environment. I participated in the Mélange show this year; it is a wonderful reward for volunteer participation. It was such an honor for each of the artists to have a wall all to themselves to show a number of paintings together. Great Give 2015!!! What MFA does with the money!